A beginner's complete guide to the guitar. Learn about keys, chords, scales, exercises, songs and everything else a first year guitarist must know. This is the print version. 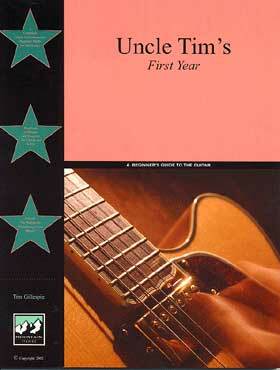 Notice: If you want the on-line version of Uncle Tim's First Year, click this link and use the real time (Paypal) delivery system. Click here to use our instant access order system. Get it now!